Your home may have permanent components such as brick or stone columns, or prominent landscaping. These components will likely outlast most exterior components and should always be put into consideration when planning your exterior color palette. It may sound like your choices are very limited, but there is actually a wide selection of colors that work well with brick and stone. You may have already come across the phrase “color blends” in reference to asphalt shingle colors. Color blends refer to the color gradients used on laminated asphalt shingle products. They’re meant to mimic the inherent irregularities found in natural materials like slate and wood shakes. In contrast to solid colors as typically seen on traditional three-tab shingles, color blends create a busy texture. If you have this type of roofing, a simple and plain siding color or finish creates a balanced look. In commercial roof replacement, the siding takes precedence over the roof since in most cases, the roof won’t be visible from the ground. Certain architectural styles have their own color palettes; straying too much can make the building look odd. Spanish architecture, for example, is easily recognizable with its terracotta tiles, stucco siding and wrought-metal window frames. Choosing any other color is taking a risk on the final design. Exterior colors can look different depending on the time of day, so it’s best to see how they look during different times. Try to obtain roofing and siding color samples and prop them up outside. See how they look in the morning, during midday and at night, and choose the one that looks best at all times. 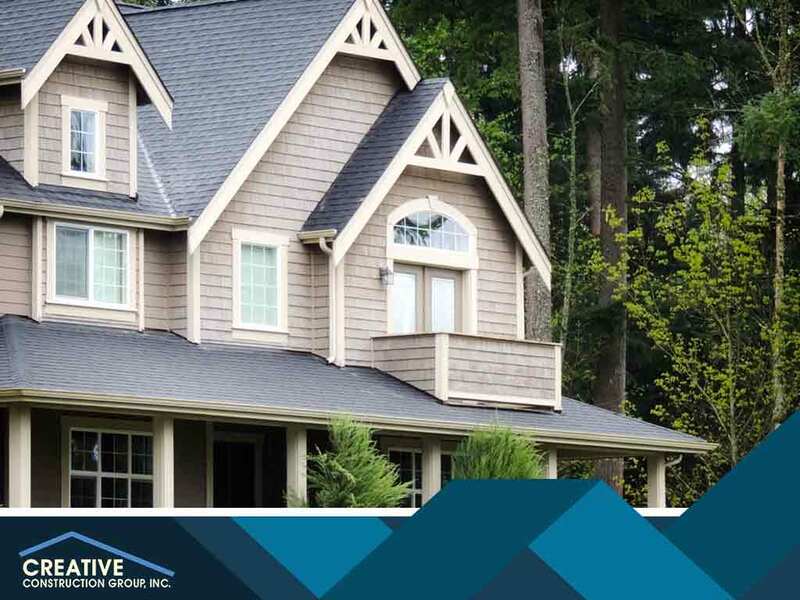 To learn more about our residential roof installation services, call Creative Construction Group today at (815) 339-0550. You can also fill out our contact form to schedule a free, no-obligation quote. We serve Rockford, IL, and surrounding areas.